You’ll learn tools for strengthening your emotional resilience, how to break free from old patterns that keep you stuck, and gain wisdom to empower you to be your mightiest self. 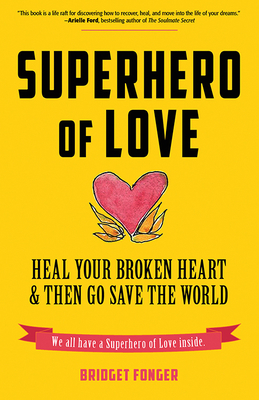 Whether you’ve been burned by a breakup, are harboring old wounds, or find yourself thinking “is this as good as it gets?”, Superhero of Love will help heal your broken heart and show you we are all superheroes who are born to fly. Bridget Fonger is a freelance writer and Thrive Global blogger who is committed to women having the most vibrant, fulfilling lives possible. She has been doing meditation and transformative work for over 30 years. She lives in Altadena, CA. Visit her at superherooflove.com.